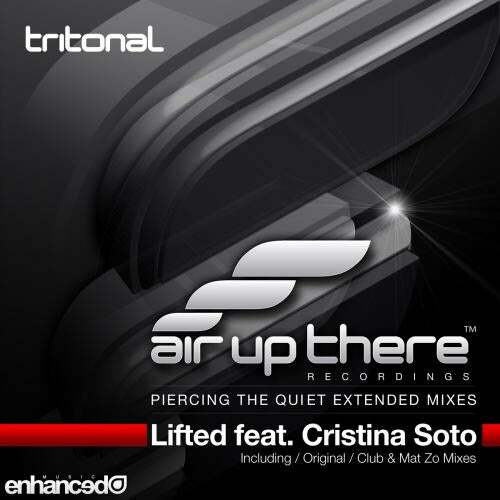 Taken from the forthcoming Piercing The Quiet album, Lifted see's Tritonal team up with the wonderful Cristina Soto. Having delivered several anthems already, the trio's musical match made in heaven is once again displayed in this breathtaking release. Packed with groove, the Extended Original Mix demonstrates Tritonal's modern take on trance. Soto's beautiful vocals hold the focus of the breakdown before Tritonal build the climax to dizzying heights. Tritonal's Club mix instantly toughens up the proceedings, and completely reworks the structure of the Original making this an excellent alternative. The remix comes from Mat Zo; a brilliant musician who needs no introduction whatsoever. Again, taking the track in a completely different direction Mat introduces a huge sidechained electro bassline, whilst chopping the vocals and arranging some of the most imaginative percussion and fills we've heard in some time. A remix that builds and drops throughout, leaving the listener constantly engaged with its fantastic progression. Yet another fantastic release form Tritonal and Cristina Soto!